Robert D. Iafe, Administrative Law Judge, Office of Administrative Hearings (OAH), Special Education Division, heard this matter on November 16 and 17, 2006, in La Mesa, California. Matthew G. English, Attorney at Law, represented Petitioner Student. Student’s Mother and Father were present throughout the entire hearing. Tiffany M. Santos, of Fagen, Friedman & Fulfrost LLP, represented Respondent Grossmont Union High School District (District). Ricardo R. Silva, of Fagen, Friedman & Fulfrost LLP, also attended a portion of the hearing. District representative Marilyn LeResche, Director of Special Education, was also present throughout the entire hearing. On April 12, 2006, Student filed the request for due process hearing at issue in this case. On June 6, 2006, OAH issued an Order continuing the initial due process hearing date in the matter. The record was opened on November 16, 2006. Testimony was taken and evidence was offered and received through November 17, 2006. The record remained open at the request of the parties to submit written argument by December 1, 2006. OAH received timely written argument from Student and District, the record was closed, and the matter was submitted on December 1, 2006. 1. Did the District deny Petitioner a free appropriate public education (FAPE) for the 2006 extended school year (ESY) by refusing to fund Lindamood-Bell services as described in recommendations from Lindamood-Bell? 2. If so, is Petitioner entitled to compensatory education in the form of the requested Lindamood-Bell services? 1. At the time the due process hearing request was filed, Student was 17 years old and attending the 11th grade at Excelsior Academy, a nonpublic school. Student is eligible for special education as a specific learning disabled student in the area of visual processing. During the time period at issue, Student resided with her parents within the geographical boundaries of the District. 2. If the District’s program was designed to address the student’s unique educational needs, was reasonably calculated to provide some educational benefit, and comported with the Individualized Education Program (IEP), then District provided a FAPE, even if Student’s parents preferred another program and even if the preferred program would have resulted in greater educational benefit. 3. ESY services must be provided to individuals whose handicaps are likely to continue indefinitely or for a prolonged period, and interruption of the student’s education may cause regression, when coupled with limited recoupment capacity. 4. This case arises from Student’s request that District provide services from Lindamood-Bell Learning Processes (LMB) during the 2005-2006 ESY. The parties do not dispute that Student requires ESY services. 5. During the 2004 and 2005 ESYs, Student attended LMB’s intensive reading program. 6. At an IEP team meeting on March 9, 2006, Parents requested ESY services to include an intensive reading program that LMB had proposed for Student consisting of intensive sensory-cognitive instruction, four hours per day, five days per week for between eight to 10 weeks during the summer. This amounted to between 160 and 200 additional hours of services with LMB. This program recommendation was attached as page 20 of the March 9, 2006 IEP. …Results of Linda Mood Bell were reviewed. Results indicate that [Student] has made some or no progress and/or declined in her skills. GUHSD continues to contend that [Student] has not made good growth that has carried over from Linda Mood Bell and she is making good progress on her goals + objectives + making good educational progress in her current NPS program. Parents are requesting LMB for summer school. At this time GUHSD does not agree to fund LMB for summer as [Student] is making excellent progress in her current program and is able to make good educational progress w/in her current setting….Parents disagree w/statement re: LMB + feel she has made progress at LMB and should continue…. 8. Renee Renfroe-Myers, school psychologist1 , stated Student was making progress in her current program. She explained that results from LMB’s own testing showed no progress, and some decline, in some areas after attending the LMB program for many hours, and based on these results, District could not recommend the LMB program at the time. 9. Ms. Renfroe-Myers explained that an appropriate program to address Student’s needs would be a program to work on the information that she has been working on the entire year. For reading, the program should keep helping to build those skills she has been working on, refreshing, and maintaining her retention. 10. District’s offer of placement for the 2006 ESY was at Excelsior, the school Student was attending for the regular school year, with transportation provided. Ms. Renfroe-Myers believes Excelsior ESY was an appropriate educational program for Student because Student has shown she is able to make progress, she has established relationships, the staff at Excelsior is very familiar with Student and with what she is working on throughout the school year, and what she will be working on for the next school year, so it is a good bridge from one school year to the next. 11. The ESY offer at Excelsior included the reading phonics program called the F.A.S.T. Phonics program. It incorporates letter sounds and works on spelling and reading. The skills taught in this program include the sound-symbol relationship of letters; diphthongs and digraphs; letter patterns; the different types of syllables; and prefixes and suffixes. These skills are then applied to reading and writing. Intensive services are provided two times a week for 45 minutes at a time for a total of an hour and a half a week. 1 Ms. Renfroe-Myers has been a school psychologist working in special education since 1995. She has a Bachelor of General Studies, from Armstrong Atlantic State University, 1993. She also has a Master of Education, School Psychology, 1995, and an Education Specialist, School Psychology, 1996, from Georgia Southern University. She has been employed as a school psychologist for District since 2001. 2 Ms. Afeman is currently employed as a learning specialist at Excelsior Academy. She has a bachelor of arts in psychology from Washington University, 1992, and a master of arts in special education from New York University, 2002. Recently she received a professional certificate in educational therapy from the University of California, San Diego, 2006. She has worked in special education for 10 years. She works one-to-one with students and has been at Excelsior since 2003. 3 On the PPVT, Student’s Age Equivalent score changed over time from 16-1 to 15-9 to 16-4, and her Standard Score changed from 100 to 98; on the WRMT, Student’s percentile score changed from the third percentile to the 16th percentile to the 8th percentile; On the WRAT, Student’s grade Level changed from the fifth grade to the fourth grade; on the GORT, Student’s grade level changed over time from the 2.1 grade level to the 3.0 grade level to the 2.8 grade level . 4 Ms. Todd is currently employed by District as the speech and language pathologist and the literacy specialist. She has been a speech and language pathologist for District since 1983. Prior to working for District, Ms Todd was employed by the Santee Elementary School District, first as a classroom teacher for the severely disordered language students and later as an itinerant speech and language pathologist. She has a bachelor of arts in speech pathology and audiology from San Diego State University, 1979. She is now working on her master of arts in reading, and the reading specialist credential, at San Diego State University with an expected completion date of December 2007. Over the past 10 years, Ms. Todd has provided many workshops to staff members regarding literacy and reading. She has supported teachers numerous times in the Lindamood-Bell program when the District was instituting the visualizing and verbalizing and the Seeing Stars portions of that program. She is an area trainer for the language curriculum and for the rewards curriculum, another reading program. She has also done numerous literacy assessments for District. 5 Student’s reported grade level increased form the 3.3 grade to the 4.0 grade overall. 6 Student’s reported grade level increased form the 2.7 grade to the 3.3 grade overall. 7 Student’s reported grade level increased from the second grade to the third grade overall. 8 Student’s reported grade level for rate increased from the 2.0 grade to the 3.7 grade; for accuracy increased from the 2.0 grade to the 4.2 grade; for fluency from the 2.0 grade to the 3.7 grade; and for comprehension from the 4.4 grade to the 7.4 grade overall. 9All statutory citations to the Education Code are to California law. 10 Although Adams involved an Individual Family Service Plan and not an IEP, the Ninth Circuit Court of Appeals applied the analysis in Adams to other issues concerning an IEP (Christopher S. v. Stanislaus County Off. of Education (9th Cir. 2004) 384 F.3d 1205, 1212), and District Courts within the Ninth Circuit have adopted its analysis of this issue for an IEP (Pitchford v. Salem-Keizer School Dist. No. 24J (D. Or. 2001) 155 F. Supp. 2d 1213, 1236). 12. At the Excelsior ESY program, the same goals and objectives that Student worked on during the regular school year would also be worked on during ESY. The regular school year ratio of 12 students to two teachers would be reduced to about nine students to two teachers during Excelsior’s ESY. 13. Although Student was in the second half of the 11th grade, the present levels of Educational Performance in the March 9, 2006, IEP show that in reading Student recognized words independently at the second grade level, instructionally at the third grade level, and met her frustrational level at the fourth grade level. 14. The nature of Student’s disability is such that if Student does not constantly work on her skills she will decline. An area of weakness for Student is her difficulty in retaining information. Processing information will always be an area of struggle for Student. 15. Student’s teacher, Erika Afeman2 described Student as very kind and very sweet. She explained that when she works with Student, Student works hard to overcome her reading difficulties. She noted that Student wishes that she read better. Ms. Afeman observed that Student has demonstrated progress academically. By way of example, Ms. Afeman pointed out that the program they are now utilizing at school focuses on the six syllable types. Student can now write them and read them when prompted, where before Student needed assistance. Student continues to make progress in the Excelsior reading program, in terms of the words she is able to read per minute, and she is able to read at a higher level and can read more words. 16. Ms. Afeman informally assessed Student’s reading accuracy and fluency to be at about a third grade level. Ms. Afeman was uncertain whether Student’s grade level had increased since the previous assessment. She believes Student likes to read. Ms. Afeman attributes Student’s progress in reading to her maturity and to constant repetition and review. 17. Several assessments were performed by LMB staff during the year before District’s 2006 ESY offer. The first LMB assessment of Student was a pre-test dated June 20, 2005, administered before Student began any ESY services with LMB during the previous school year. The second was a re-test dated September 2, 2005, after Student’s summer sessions at LMB. And the third was a pre-test dated February 13, 2006, shortly before the IEP team meeting. The “decline” in scores identified by the IEP team was limited to certain scores for the Peabody Picture Vocabulary Test-III (PPVT-III); on the Woodcock Reading Mastery Test (WRMT) for Word Attack; on the Arithmetic portion of the Wide Range Achievement Test-Revised (WRAT); and on the Gray Oral Reading Test (GORT).3 . The test results for Student on the Gray Oral Reading Test-4 Student’s remained the same over the three testing periods. 18. In addition to the fluctuating results on these four tests, there were other tests in which Student’s scores actually increased over time. For example, on the Detroit Tests of Learning Aptitude, Student’s three scores increased on the Word Opposites (changed from the 16th to the 25th to the 37th percentile); on the Verbal Absurdities (changed from a Mental Age of 11-6 to 14-0 to 13-3); on the Oral Directions (changed from 16th to the 25th to the 37th percentile). 19. Ms. Renfroe-Myers explained District’s position was that Student did not make progress after the highly intensive training program at LMB. She said District expected Student to make progress in the LMB program and if she did make progress, for Student to be able to generalize what she had learned once she was back in school. 20. Barbara Todd4, District reading specialist, is familiar with LMB services. About 10 years ago, she received an intensive week-long training at the LMB main office in San Luis Obispo. After that initial training, she has attended numerous week-long training sessions to improve her skills. She has been trained several times in the LIPS portion of the program, a multi-sensory program that teaches students to decode using articulatory feedback from how they pronounce the sounds. She was trained several times in the Visualizing and Verbalizing portion of the program, to help students to establish a gestalt of what they are reading to improve their comprehension skills. She was also trained in the Seeing Stars symbol visual imaging portion of the program, which teaches students to take symbols and make visual images in their minds to improve reading and spelling skills. 21. Ms. Todd prepared a document entitled Summary of Scores from Lindamood-Bell Center (Summary). She prepared this Summary from Student’s scores on a battery of tests administered to Student by LMB for five different test dates covering a period of 19 months. The first two test dates were for the July 22, 2004 pre-test and the September 2, 2004 re-test administered to Student by LBM before and after the LMB summer sessions she attended in 2004. The second two test dates were for the June 20, 2005 pre-test and the September 2, 2005 re-test administered to Student before and after the LMB summer sessions she attended in 2005. The fifth and most recent test date was the February 13, 2006 pre-test administered to Student just before the March 9, 2006 IEP. 22. Ms. Todd noted Student’s scores on the PPVT from July 2004 to February 2006 remained the same. For the Detroit Tests of Learning Aptitude (administered to Student in the areas of Word Opposites, Verbal Absurdities, and Oral Directions), Ms. Todd explained these tests are designed to determine cognitive aptitude. The Summary showed that Student’s scores for Verbal Absurdities and Oral Directions improved during the periods of time she attended the LMB program; her scores declined while she only attended the program at Excelsior. 23. The Summary also showed results for the Woodcock Reading Mastery Test (WRMT) subtest for Word Attack (a test of the ability to decode words). Ms. Todd pointed out that the results from July 2004 to February 2006 showed inconsistent increases and decreases, with Student making a growth of only nine months over the 19 month period of testing.5 Ms. Todd explained that she would expect to see continued increase in test scores, rather than an inconsistent pattern of improvement and decline, if what they were doing in therapy was addressing the Student’s needs. A close examination of the five test scores actually shows an increase in decoding skills after each LMB session, and a decrease in decoding skills after attending only Excelsior. 24. The Slosson Oral Reading Test was also included in the Summary. Ms. Todd described this as basically another word reading test with scores reported by grade level. She pointed out that Student had an overall growth of eight months over the 19 month period of testing.6 However, similar to the pattern of results for the Word Attack testing, a close examination of the five test scores for Student actually shows an increase in oral reading skills after each LMB session, and a decrease in oral reading skills after attending only Excelsior. 26. The Summary also showed results for various subtests on the Gray Oral Reading Test (GORT) including rate, accuracy, fluency and comprehension. Student had overall growth of between 1.7 and 3.4 years over the 19 month period of testing.8 Similar to the pattern of results for the Word Attack and the Slosson Oral Reading Test, a close examination of the five test scores for Student again shows an increase in test scores for all subtests after each LMB session; while there were both increases and decreases in test scores after attending only Excelsior. 27. The Summary also showed results for various subtests on the Lindamood-Bell Auditory Conceptualization Test-3 (LAC-3) including sound/symbol association, nonsense spelling, and symbol imagery. Ms. Todd explained this test looks at phonemic awareness which is the basis of good reading and decoding skills. The Summary noted Student’s test scores were age appropriate except for Symbol Imagery which was below age expectancy. Similar to the pattern noted above, a close examination of the five test scores for Student again shows an increase or no change in test scores for all subtests after each LMB session; while there were both increases and decreases in test scores after attending only Excelsior. 28. After reviewing all of Student’s test results, Ms. Todd gave her opinion that Student did not make the kind of progress she would anticipate after attending the LMB program for 290 hours over a two year period during the previous two summers. She explained that in her personal experience of doing intensive programs, such as an hour a day for six weeks, District has seen instances of two and three years growth in reading skills. Since the total amount of time Student spent with the LMB program amounts to about an hour a day for almost two years, she explained District would anticipate a little more significant growth than Student’s test results showed. 29. Ms. Todd testified she did not believe the LMB program was appropriate for Student at this point because she did not think that Student’s scores reflected that this intervention was continuing to work for her. As a clinician she would want to see more growth in the Student’s test scores. 30. Ms. Todd attended the March 9, 2006 IEP team meeting as a consultant for District. Before the meeting she met Student only once for about 10 minutes, had never assessed her reading skills, but had reviewed school records for Student including her IEP goals and objectives. Ms. Todd testified that during the meeting, District offered the ESY program at Excelsior with continued speech and language services. Ms. Todd believes Excelsior was an appropriate program for Student because of the small classroom environment, the intense educational support Student receives, and the level of training the teachers have as observed by Ms. Todd. The goals to be worked on during the summer included decoding, fluency, and comprehension, the same goals in the IEP because Student needed repetition. 31. After reviewing Student’s records, it was also Ms. Todd’s recommendation that Student attend an intensive reading program for four hours a day, five days a week, for three weeks, during the 2005-2006 ESY. 32. Ms. Todd testified she believed that at the March 9, 2006 IEP team meeting District offered to Student an intensive reading program that District had in place at Granite Hills High School, one of District’s schools. She explained this program was based in part on portions of the LMB program and was staffed by Ms. Todd, another trained teacher and an experienced assistant aide with a total of seven students in the program. She described the program as being run for four hours a day, five days a week, for three weeks that began during the second week of summer school. However, nothing in the IEP document supports Ms. Todd’s recollection of events. 33. Student’s unique development gave her the ability to master second and third grade reading skills during her later high school years, but her ability to retain those reading skills needed constant work. The intensive four hours a day, five days a week, reading program was appropriate for her 2006 ESY program. As a consequence of District’s failure to offer this program, Student’s needs during the ESY for constant work on her skills, to prevent her skills from declining, and to help her retain information went unmet. 34. Based on the foregoing, District’s offer of the Excelsior ESY program, without the intensive reading program services as recommended by Ms. Todd, was insufficient to meet the needs of Student and therefore did not provide a FAPE for Student for the 2006 ESY. 35. Compensatory education, designed to replace lost educational services, is an equitable remedy which may be available when a school district has denied a student a FAPE. Student did not receive the reading support services she was entitled to during the 2006 ESY. 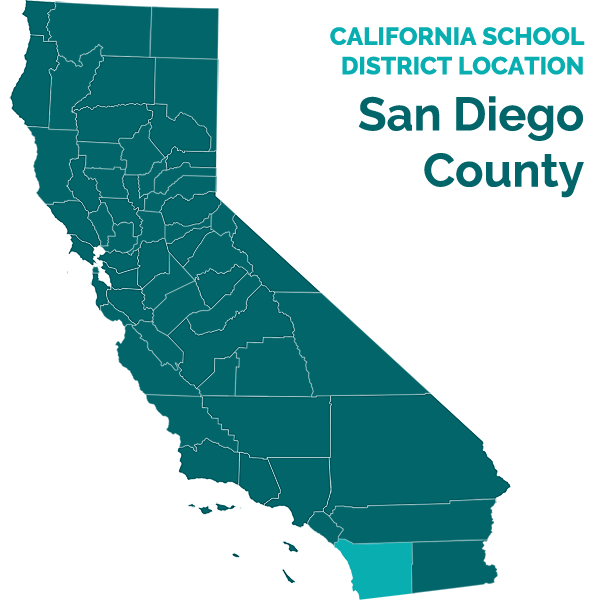 Because of District’s failure to offer Student the intensive reading program she needed, Student is entitled to educational compensation for the support she did not receive. 36. There are not enough hours in the day during the regular school year for Student to attend a four hours a day, five days a week, reading program and still attend to her regular school day. However, Student is now only part way through her senior year. To make up for the lost educational opportunities during the 2006 ESY, District shall provide 120 hours of LMB services to Student to be provided in sessions for up to four hours per day, up to five days per week, and up to six weeks in duration. 5. Under Schaffer v. Weast (2005) 546 U.S. 49 [126 S.Ct. 528, 163 L.Ed.2d 387] Petitioner Student has the burden of proof in this case. 1. Pursuant to Factual Findings 1, 6-19, and 20-31, and Legal Conclusions 1-6, the provision of ESY services for the 2005-2006 school year was required to meet Student’s needs. 2. Pursuant to Factual Findings 6-12, 13-16, 17-19, 20-34 and Legal Conclusions 1-6, District failed to offer Student appropriate ESY services. District’s literacy specialist, Ms. Todd, recommended that Student attend an intensive reading program for four hours a day, five days a week, for three weeks, during the 2006 ESY. However, testimony from Ms. Afeman and Ms. Renfroe-Myers, and the IEP team meeting notes, all demonstrate that the only offer of ESY services by District was the ESY program at Excelsior. The Excelsior program only provided two 45-minute reading sessions for Student per week, rather than the intensive reading program recommended by District’s literacy specialist. 3. While Ms. Todd testified about the intensive reading program which District had in place at Granite Hills High School, her testimony that it was discussed at the March 9, 2006 IEP team meeting is not credible. Other witnesses and the IEP meeting notes plainly contradict her. Ms. Afeman, the learning specialist from Excelsior, pointed out that the Excelsior program was offered because the same goals and objectives could be worked on and there were fewer students per teacher at the Excelsior ESY program. Ms. Renfroe-Myers, District’s school psychologist, noted that the recommended ESY placement is always at the school a student is attending, and there would be good repetition for Student at the Excelsior ESY program. 4. The IEP meeting notes dated March 9, 2006, also fail to support that there was any mention of an intensive reading program at Granite Hills High School being offered to Student. If the program was as described by Ms. Todd – an intensive reading program being provided for 4 hours a day, 5 days a week, which would precisely satisfy Ms. Todd’s recommendations – there is no mention of such a program in the IEP team meeting notes. If District’s intensive reading program was based in part on portions of the LMB program, there is no mention of that fact in the IEP meeting notes, especially where Parents were requesting additional services from LMB. Moreover, Ms. Todd testified only that she believed the intensive reading program at Granite Hills High School was offered. She did not know why there was no mention of it in the IEP meeting notes. 5. Pursuant to Factual Findings 4-9, 10-19, and 20-34, and Legal Conclusions 3-6, Student is entitled to compensatory education in the form of Lindamood-Bell services. However, there is a problem with providing these services to Student as they were originally proposed in an ESY program. The intense nature of the program makes it difficult to provide during the regular school year. As a result, Student is entitled to 120 hours of services to be provided up to four hours per day, up to five days per week, for up to eight six weeks. Student will have the opportunity to receive these LMB services during the 2006-2007 regular school year or extended school year according to her needs. 1. District shall provide 120 hours of sensory-cognitive instruction from Lindamood-Bell Learning Processes to Student for up to four hours per day, for up to five days per week, for up to six weeks. Pursuant to California Education Code section 56507, subdivision (d), the hearing decision must indicate the extent to which each party has prevailed on each issue heard and decided. Student prevailed on all issues heard and decided.